Wayne S. Jimmerson MCP has more than 25 years of experience of ERP software consulting experience planning, implementing, and supporting various ERP systems with a focus on Business Process Improvement. Wayne’s expertise has provided clients with successful solutions in Project Accounting, Financials, Distribution, Reporting, Budgeting, Forecasting, Security, and a variety of business solutions. Wayne’s strong accounting background and experience working for CPA firms coupled with his Business Analyst and ERP experience make him extremely adept at formulating technical designs as a result of performing Business Process Reviews that provide a footprint that meet customers current and future business requirements. Wayne is uniquely capable of understanding complex accounting requirements and bridging the communication gap between finance and other departments in the organization. 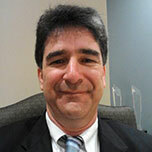 Jed Perlowin has over 20 years of experience in installing, customizing, modifying, and training Microsoft DynamicsGP. 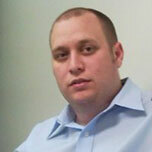 Jed also provides SQL programming, SSRS reports and SSIS packages. Jed is a graduate of Georgia Institute of Technology where he earned a B.S. in Physics. Jed is also a Microsoft Certified Professional. Mathew Jimmerson has over 10 years of experience in the Healthcare and financial industries. His specializations include server virtualization, storage, Exchange, SQL, Active Directory, advanced networking, security and business continuity. Robinson Candelier has earned his degree in Programming from Instituto Tecnológico de Santo Domingo. Robinson has developed the experience of a well-rounded consultant from the functional – technical perspective, actively managing, and maintaining project plans for current initiatives, migration / conversion efforts for Tier One companies as well as small companies.